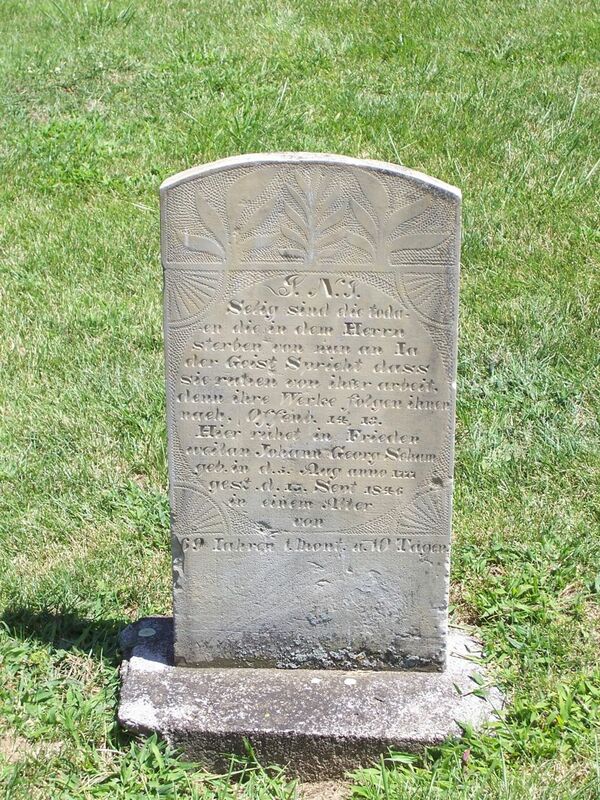 This weekend descendants of John George Schumm will gather in Schumm, Ohio, for the the 43rd biennial Schumm reunion. Many relatives, often over 200, gather for some or all of the day’s activities, which include the morning worship service at Schumm’s Zion Lutheran Church, a noon meal consisting of a variety of some the best home-made dishes you can imagine, followed by entertainment and a business meeting. There is also visiting, reminiscing, photo & item displays, and fun activities for people of all ages in the afternoon. The first Schumm Reunion, 1924, at the Schumm homestead. 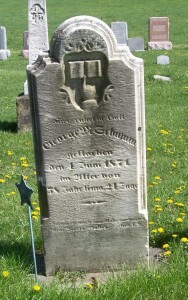 In honor of our ancestor John George Schumm and five of his children, who immigrated in 1833, and who went on to settle in Willshire Township and establish the little town of Schumm, and who were some of the original founders of Zion Lutheran Church there, today’s Tombstone Tuesday will feature the six tombstones of the six Schumm immigrants. 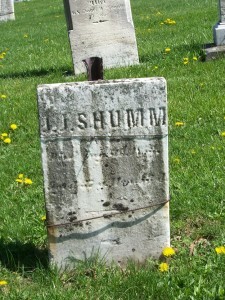 All of their tombstones are located in Zion Schumm’s cemetery. 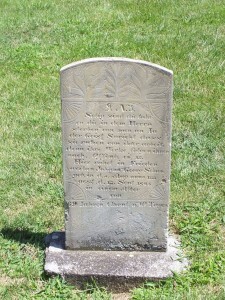 I have written a Tombstone Tuesday blog post about each of them and a link to each post is included in their individual footnote. 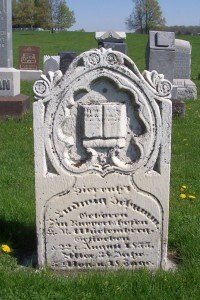 John George Schumm (1777-1846) was born in Ruppertshofen, Wuerttemberg, and married Anna Maria Fisher (1779-1822) on 28 April 1807. They had ten children and five of them died in Germany, some in infancy. 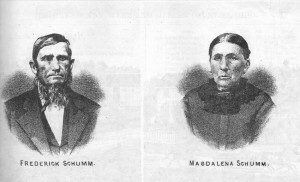 Friederich & Magdalena (Meyer) Schumm, 1882. 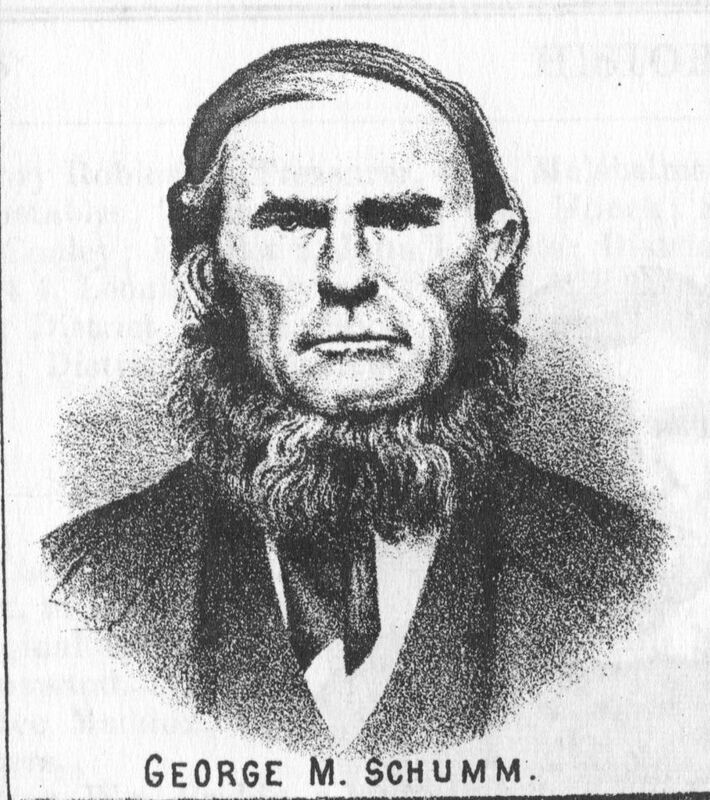 Ludwig Schumm (1817-1855), row 6. 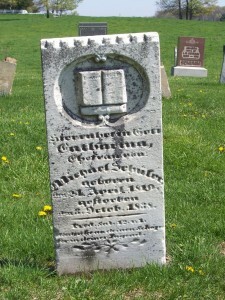 He married Barbara Pflueger (1822-1908). 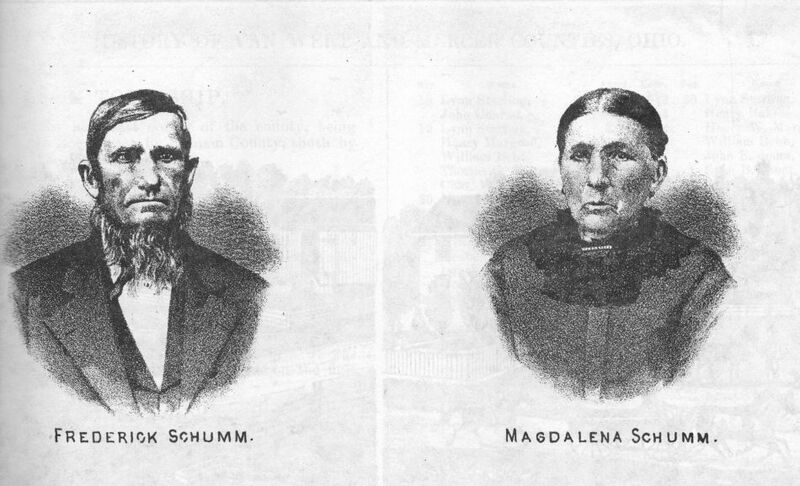 I am a direct descendant of Ludwig and Barbara (Pflueger) Schumm. 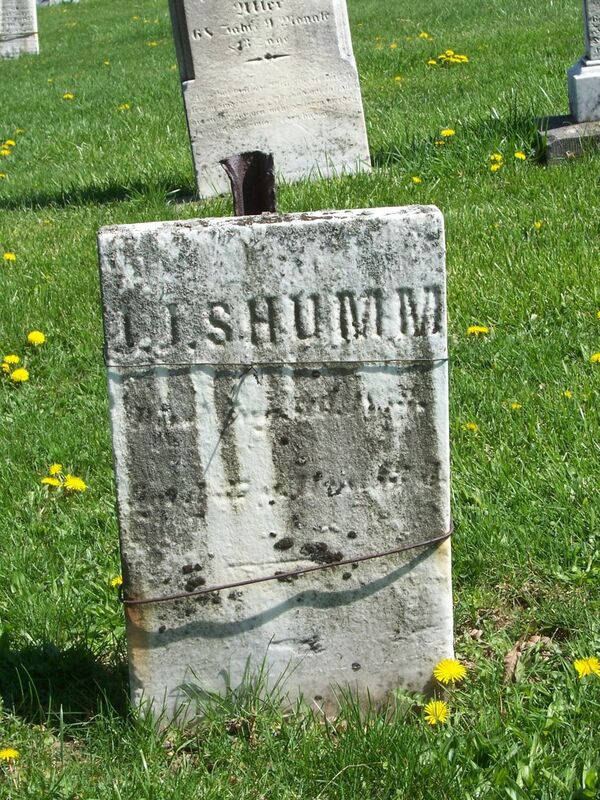 Ludwig was my second and third great-grandfather. Ludwig’s son Ludwig John “Louis” was my grandpa Cornelius Schumm’s father and Ludwig’s oldest daughter Elizabeth married Friedrich Schinnerer and was my grandma Hilda (Scaer) Schumm’s grandmother. The Schumm Reunion is always a great event, thanks to the planners who do a wonderful job organizing it. 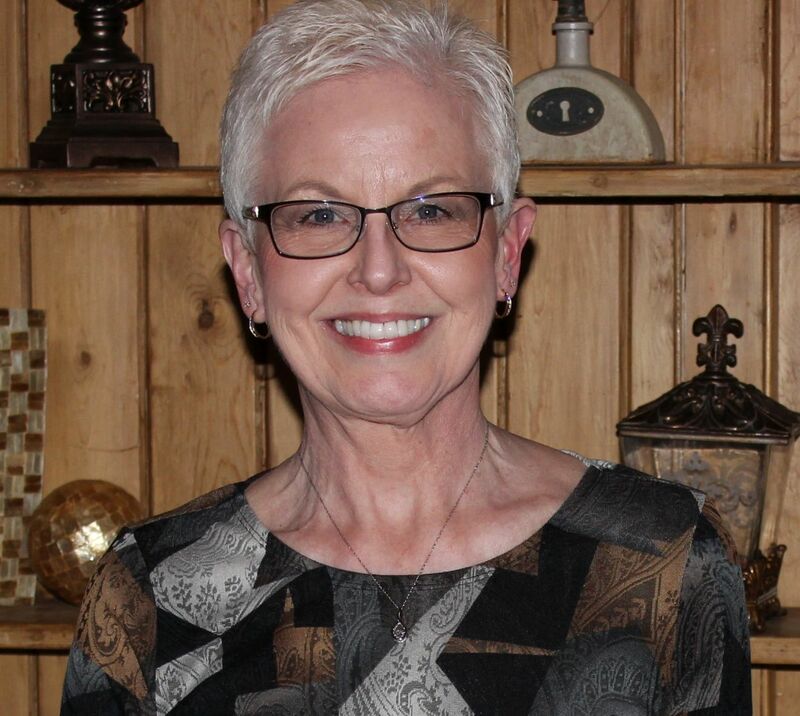 I am looking forward to catching up on family news, renewing old friendships, meeting “new” relatives, and seeing some of you there. Spoiler: A big surprise for this year is that I will have 100 USB/flash drives available that include the updated 2018 Schumm Descendant List (genealogy) along with the Schumm history! Philadelphia, Passenger Lists, 1800-1850, on-line database and images by subscription, Ancestry.com (https://search.ancestry.com/search/category.aspx?cat=40 : viewed 30 Jul 2018), John G Schum, 3 Jun 1833. Karen’s Chatt, Tombstone Tuesday—Johann Georg Schumm, 19 Nov 2013. 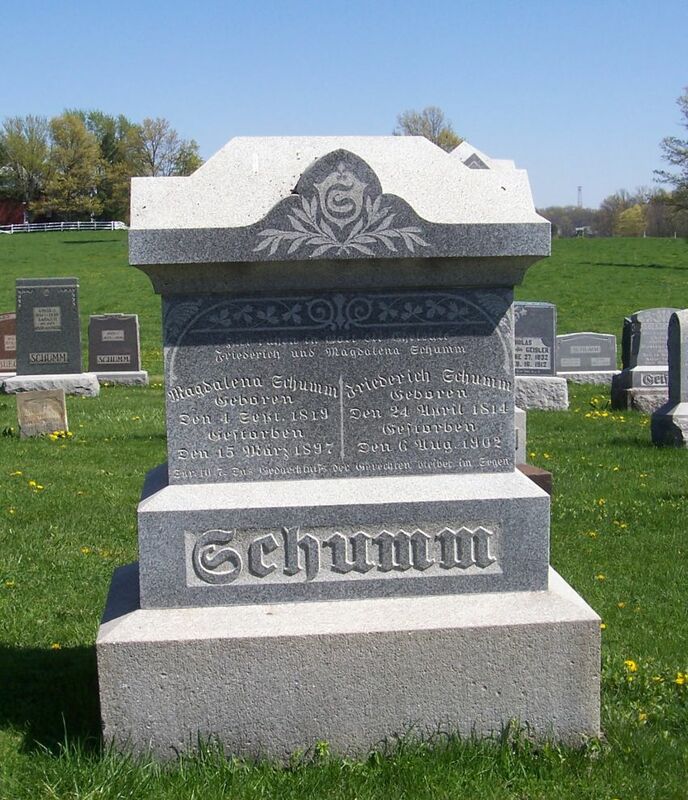 Karen’s Chatt, Tombstone Tuesday—George M Schumm, 3 Dec 2013. 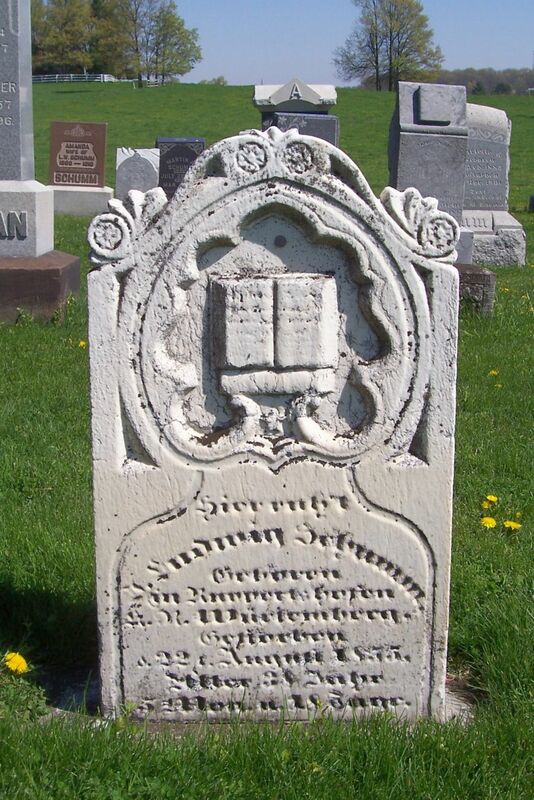 Karen’s Chatt, Tombstone Tuesday—Friederich & Magdalena Schumm, 10 Dec 2013. Karen’s Chatt, Tombstone Tuesday—JJ Schumm, 17 Dec 2013. Karen’s Chatt, Tombstone Tuesday—Ludwig Schumm, 7 Jan 2014.